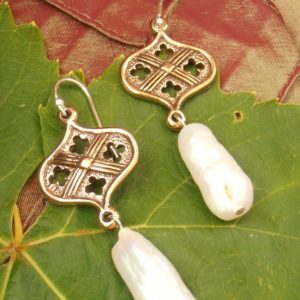 This style features faceted Citrine and cultured freshwater “coin” pearls. The Daffodil, the first flower of Spring, is -along with the dragon & the leek- a traditional symbol of Wales. It is worn on St David’s Day & is a favorite in the kitchen gardens of Wales where the Daffodil is treasured for its beauty & hardiness. 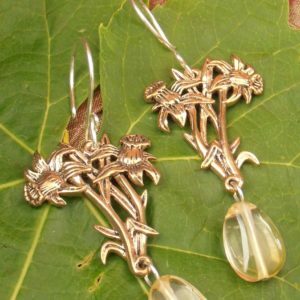 Inspired by the symbolic first flower of Spring we at Nagle Forge & Foundry painstakingly crafted the miniature daffodil models for this pair of earrings. 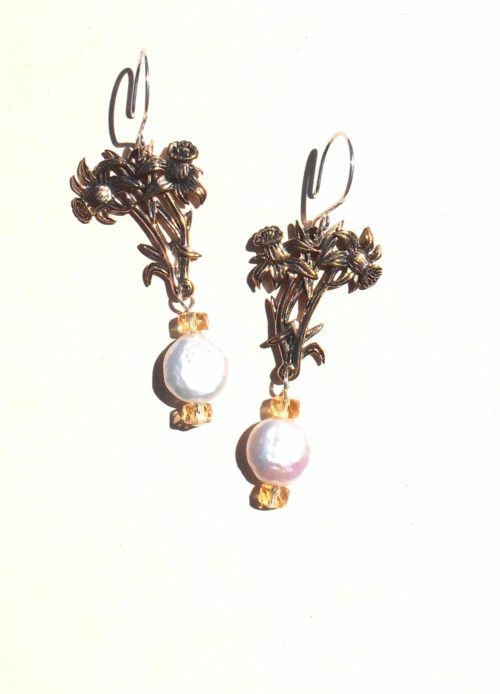 Each pair of earrings consist of a left and right daffodil “bouquet” cast from high quality jeweler’s bronze. 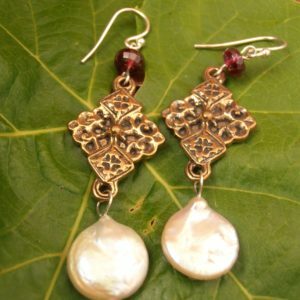 Garnished with perfectly faceted petite Citrine stones and lustrous cultured freshwater “coin” pearls. Sterling silver hooks, because your ears deserve nothing less.